Art is created in a myriad of ways. Some create from a place of joy and others from a place of darkness. Such is the way with musician Valerie Rose Sterrett. 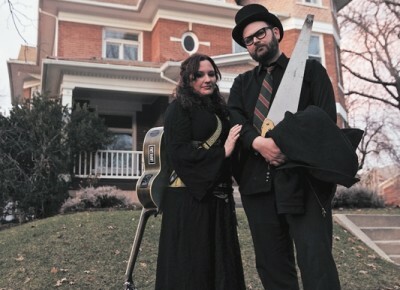 SLUG sat down with Sterrett and her husband/bandmate/artist B.C. over coffee one rainy evening. Immediately upon introducing myself to the two, I could sense the same intense emotions that were portrayed in the album Monsteria permeated from Sterret’s being. Calm, collected and seemingly reserved, Sterrett is a woman with some pretty forward ideas.